Home Cycling Type Are you ready for a NEW Cross-country challenge? Remote, awesome landscapes? Check. A place-to-place journey? Check. All-round biking opportunities for riders of all levels? Check. Based on an ancient pilgrimage route starting in the UK, this journey may not be as widely known as its famous Camino cousin, but it’s just as impressive! 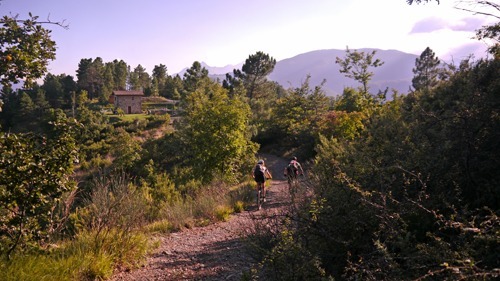 Our mountain bike holiday picks up the trail in Tuscany, for the final leg of the path. Biking in the footsteps of pilgrims isn’t the only history you’ll experience here! 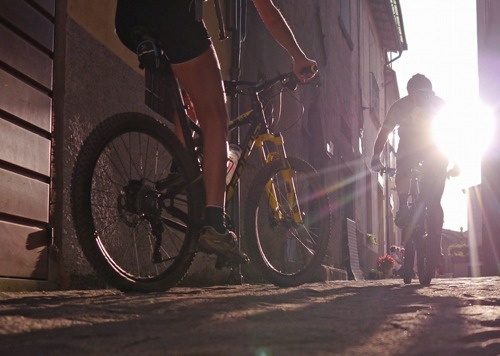 In-between taking in a great mix of off-road trails and singletrack, you’ll encounter some of Italy’s best-loved features, from olive groves to ancient amphitheatres. Time to put this famous phrase into action. Your final destination is the Vatican City, offering a great way to mark the end of your cross-country achievement. It would be a cardinal sin not to! Want to find out more about our new Via Francigena trip? Click here.